My son and my daughter were outside playing last weekend, when my husband's buddy (A Canadian Goose) decided she didn't want either of them to be close to her. 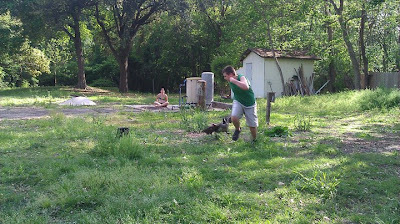 So, she stalked my son and chased him all over our back yard, as my husband was fixing our weed eater. My daughter thought it was hilarious, until the goose turned on her. However, I was smart and stayed on the porch, where I remained safe until she noticed me taking pictures. 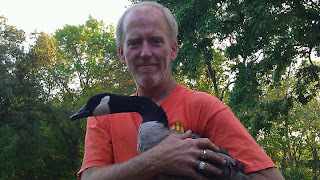 Finally, my husband had to stop what he was doing to capture his jealous pet goose and save all of us from her wrath. I've heard geese were agressive! I love this photo and story. 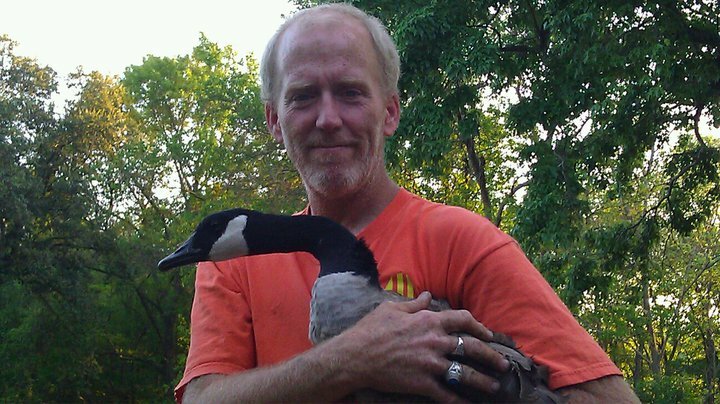 We enjoy feeding Canadian geese, so seeing one held by someone, wow. They are so much more friendly than the big white geese we see year round here in Bakersfield, California. Grateful I found you via #AtoZchallenge this morning! My son and I loved this story and photo!! Made us giggle and smile and wish WE were holding a Canadian goose! Grateful I found you via the #AtoZblog challenge today! My posts may be found here. This sounds like one of those great family moments filled with laughter that will have a place in your memories forever! 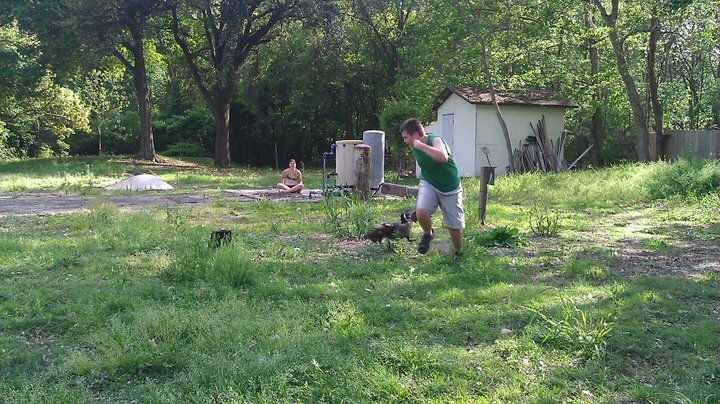 I got chased by a goose once. They can be means!!! !